Back in the early days of this project, I made a post about the classic “Pigalle” Christian Louboutins, where I called them “absolute essentials” for every bimbo out there. 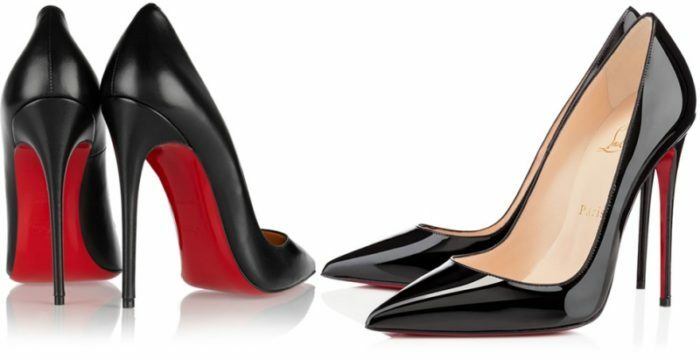 I still stand by that – but recent discussion on the newly introduced PBA Discord server led to the discovery of another somewhat similar, but even more elegant and ambitious pair of Louboutin pumps, which can be regarded as another “base line model”. 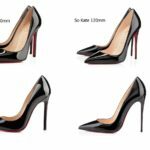 The Louboutin “So Kate” pumps, are general, classic pumps in every way, with 120mm heels (just like the Pigalle) and a pointy sole. I already explained why this kind of “classic pumps” is an absolute mandatory basic piece of fashion for every bimbo doll, fitting every style, every event and every occasion, bringing the classic feminine elegance, sexappeal and graceful beauty to every girl out there. Good practice is to get the first pair of these in black, which supplements the versatility of this design, because of reasons I explained in the post about the color black in the bimbo color theory section. This shoe works every time! You can wear it any day and it will always complement the rest of your styling and outfit in a beneficial way – no matter if you are just going on a shopping tour, to work or if you plan to have dinner in a fancy restaurant. So what makes the “So Kate” so special? If you have a look at shoe-god Christian Louboutins general philosophy of design, you soon realize, that the irrefutable allurement of his designs results from the streamlined compositions and swift, elegant lineflows he uses, very much like expensive sports cars tend to have. On the hand, the used lineflows remind of flowing water, harmonious and organic (following his mantra, that a shoe is always following the natural shape of the foot), while, on the other hand, said “sports cars” appeal expresses elegance, exclusivity, luxury, momentum and perfection. These aspects, combined with the general mastery of craftsmanship, the irresistible red sole and the sky high heels, make real Louboutins FAR superior to every other shoe there is. So far, the So Kate shoes, share all these aspects with the former mentioned Pigalle shoes – but why are the So Kate even better? 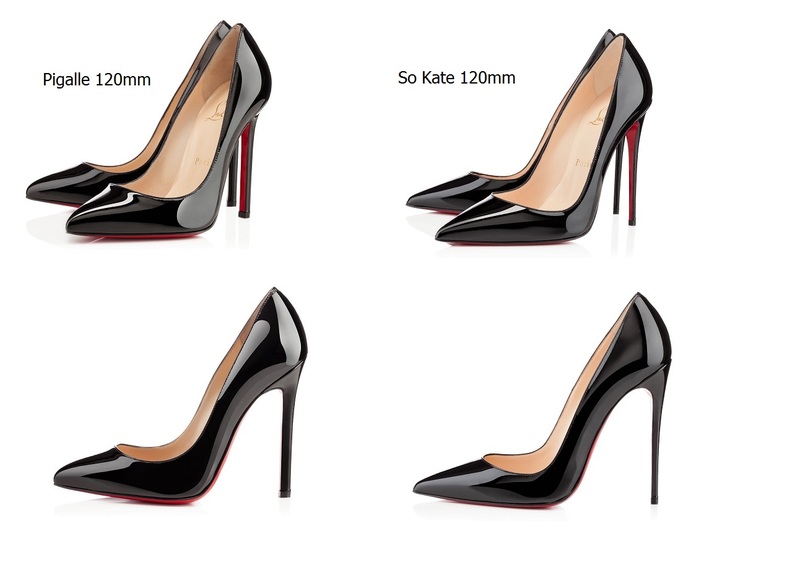 If you have a look at the comparative picture above, you will notice, that the lineflow of the So Kates is even more graceful, the sole is a little bit more pointy (but still esthetically pleasing), making it even more streamlined and the heel is a little bit more slender, bringing it closer to a classic stiletto heel. This leads to a design that’s even more elegant than the Pigalle, but may be more difficult to master walking in, although both heels share the same height. Nevertheless, I would advise every bimbo doll that is used to wearing high heels, to give preference to the So Kate shoes, while I would advise every bimbo doll that is currently in the process of learning to wear high heels any given time to start with the classic Pigalle shoes – of course, given that you already do want to add the “Ferrari of high heels” to your shoe cabinet (which is connected to the usual price, when it comes to buying Louboutins, which means – it’s expensive!). Your first choice should obviously be to get these luxury goods in black, but that doesn’t mean you should stop there! 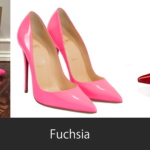 If you can afford it, you may continue with So Kate heels in fuchsia and/or shocking pink (both shades of pink, particularly mentioned in out bimbo color theory post about the color pink! ), red (we will have a post about red in the future) and white (perfectly suitable for a high class bimbo nurse, like mentioned in that certain article, or a bimbo bride!). Do not go for leather, always go for shiny patent leather! These shoes, are simply timeless! Classic and everlasting pieces of art and design! Perfection! And because we know, only the most perfect and feminine items are good enough for equally perfect and feminine bimbo dolls – these shoes are a must-have for every ambitious bimbo doll – something you can easily recognize, if you look at the most famous and greatest bimbo princesses, queens and rolemodels out there, like Candy Charms, ASX, Lucy Zara, Dannii Harwood and MANY others, favouring these masterpieces!